We have divided our services into the business divisions of Phlebology, Orthopaedics, Hospital and cep. medi Phlebology: mediven products for vein and lymph therapy, i.e. medical compression hosiery and hosiery for thrombosis prevention. medi Orthopaedics: supports and braces for joint therapy. medi Hospital: cross-divisional integration of products for therapy in clinics. Services for hospitals. cep: a partner to the specialist sports trade with cep Compression Sport socks. medi has 320 product brands and patents. 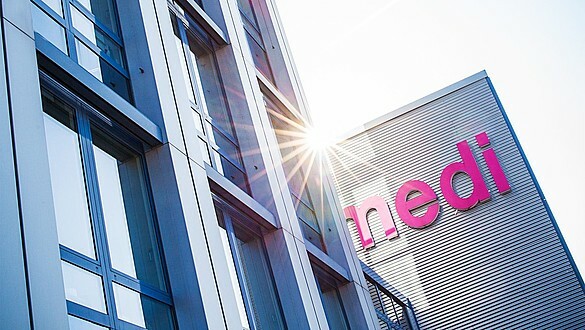 medi has 19 branches, of which Bayreuth and the USA have their own production sites. medi exports to 90 countries. 2,600 employees worldwide and 1,550 at the head office in Bayreuth ensure that everything runs smoothly.